Brave survivors of brain aneurysms/AVMs and hemorrhagic strokes will represent The Joe Niekro Foundation during a month of mini-challenges to bring awareness to the importance of early detection and “Getting Scanned.” Don’t be a Chicken is designed to increase awareness of these devastating conditions by asking survivors, caregivers, friends and families to share their stories in attempt to educate the public on the warning signs and risk factors of a brain aneurysm and what to do if you experience “the worst headache of your life.” Courageous survivors and family members from across the country have come together to educate others on the importance of early detection and will be sharing their stories on the RUChickenJNF You Tube Channel, as well as across the foundation’s social media networks. 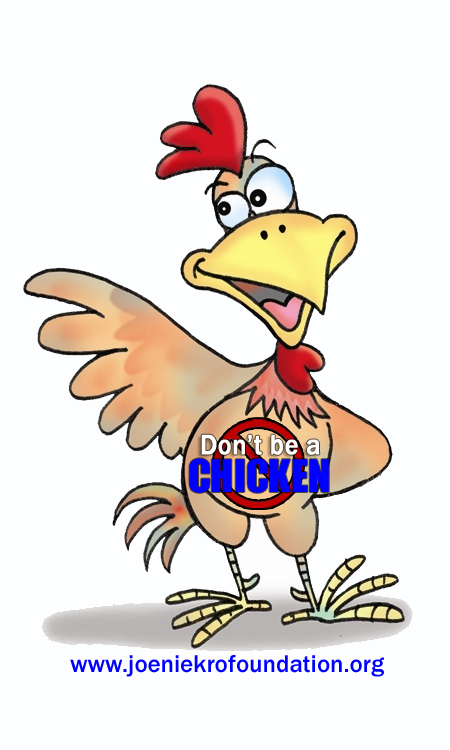 Plan to see quite a bit of the campaign’s mascot, “Chuck the Chicken” as the JNF will encourage individuals to make Chuck their Facebook profile picture. 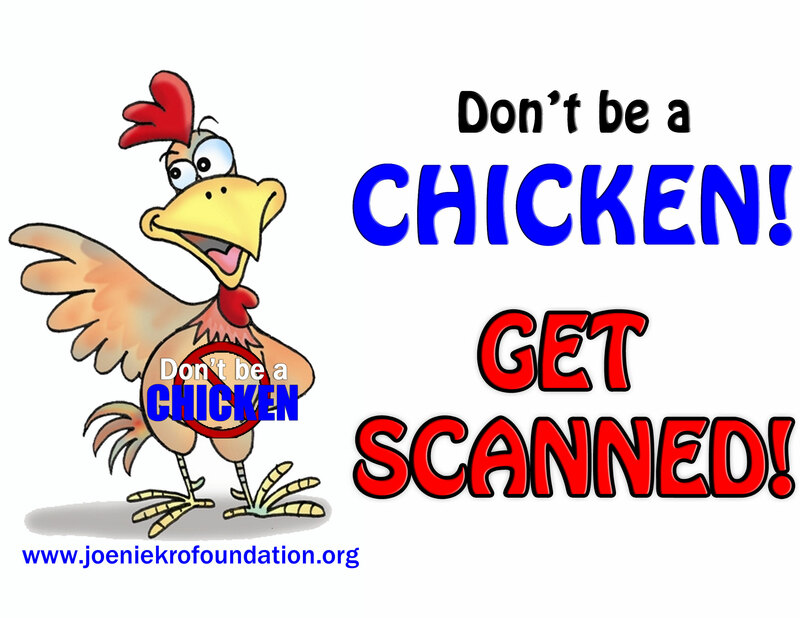 Signs of Chuck the Chicken have been created for survivors and supporters to download from the foundation’s website and Facebook page, take their picture with and then upload to social media. Throughout the month, Chuck will introduce new elements of the campaign and new challenges for the followers to participate in.